Then we all blast into laughter with Elfer’s proud remarks when we look at the water that can even show your shadow illuminating in the clear water and white sand. Its location, between the most renowned island-hopping destination in the world - El Nido and Coron – is already enough to make Linapacan exciting for off the beat backpackers. 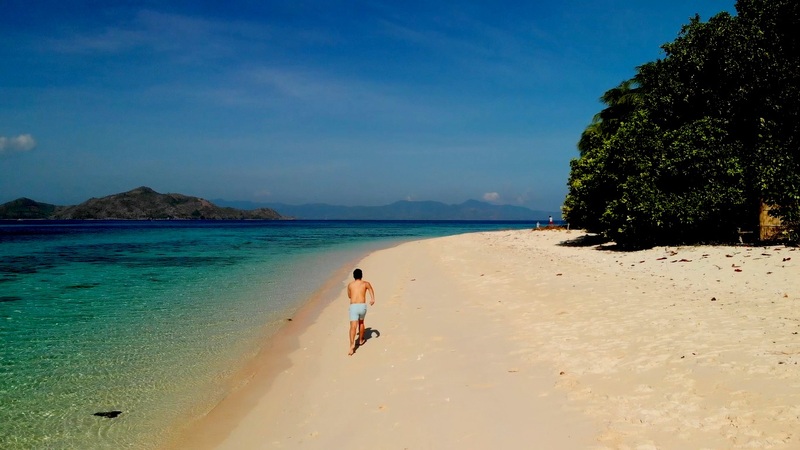 Linapacan Islands is relatively the newest attraction in Northern Palawan. Few tour operators have started this tour. Northern Hope Tours is now offering Linapacan Island Escapades from El Nido or Puerto Princesa in Palawan. Linapacan Island Escapades starts at 5AM from El Nido, Palawan. 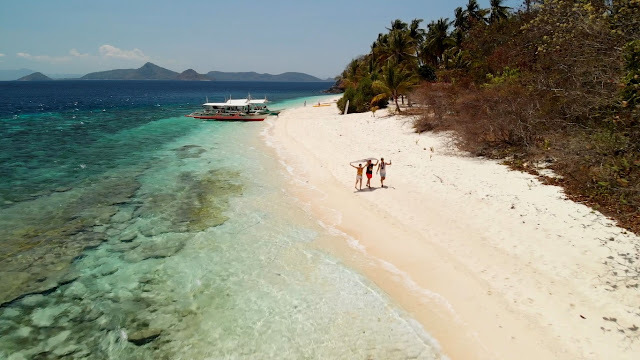 We traveled in a scenic road going to Sibaltan, which is another off the beat destination in Palawan, the jump off to Linapacan Island Escapades. During our travel, the fields showed its golden might gazed by carabao while mists cover the sky and the mountains. We stopped for a while when Elfer realized that our cameras were shutting towards the sunrise. We arrived in Tapik Beach Park Guesthouse just in time to be amazed by the low tide view where sand forms a ripple formation marked by the tide of the sea. Tapik is the place that defines seclusion and rest – I think I want to do our honeymoon there. Char! I wanted to stay for a night the first time I saw its cabana on the side of the hill facing the calm sea. It’s a great place to witness the sunrise in your blanket sipping your hot local coffee. Very cinematic. We had a light breakfast of coffee, bread and small talks with our not so new friends. It’s a great way to kick off the tour - getting to know your tour mates. Lelz. After an hour of a smooth boat ride, we arrived in Pikal Island and it immediately captured us. We were only supposed to get the fuel supply for our boat, but we could not contain our excitement, we all jumped on the boat and walked towards the end of the beach! Who could not resist the charm of the calm, clear and clean to goodness beach? I’m just a man falling for the beauty of nature. Boom! Maybe because we spend too much time in Pikal Island, Elfer decided to set up lunch in Cagdanao Island – our second stop. While they were cooking, they asked us to roam around the island and snorkel around it. I did it all with all the excitement. I grabbed by snorkeling gear, took of my shirt off, apply some sun protection and jumped on the boat - I couldn’t waste time! Under the sea was like an aquarium experience. Corals of different colors and sizes, sea plant dancing with the beat of the ocean and the most extravagant of all - fish of different colors and sizes too! Blue, yellow, orange, red, violet, black, white brown and a lot more! There were times that a school of fish would come to me as if they saw a big food! It was like a dream! The underwater world is such a magnificent view to see life. One of the things I look forward in an island hopping in the Philippines, especially in Palawan, is the sumptuous lunch prepared by the boatman and guide. Yes, your guide and boat man will cook for you! In El Nido and Coron the guide and the boatmen cook the best lunch that you will not forget. Really! Our lunch is a combination of different kinds of fish, of course, squid and chicken - all grilled. We also have chicken adobo, raw cucumber with vinegar, eggplant ensalada and fruits in seasons such as pineapple and watermelon. Ice-cold Coke, Royal and Sprite is such another treat. Yum! The next Island is for me has the best beach in our Linapacan Island Escapades. Powder fine white sand with droplets of small crushed corals, enough waves to play by the beach like I was a child, stunning rock formations for endless selfie and lots of shades to cover yourself from the grueling heat of the sun - these are some of the reason why I like Calacala Beach. It is also a perfect spot for snorkeling. At the edge of the island is a secret beach covered by bushes and sharp twigs. When you see it from afar, it seems like where the great movies are shot. It’s a movie perfect scenery. Naks! Did I just coin that phrase? Meh! I saw some tent and a few cottages for accommodation in front of the beach. I guess there is no electricity on the island and if ever they have, it is powered by a generator or solar energy. But do you need electricity on an island so perfectly isolated? I could play Swiss Family Robinson for a month! Magransing Island is one of the highlights of Linapacan Island Escapades mainly because of its long sandbar. The sandbar was not in her perfect form because it was high tide. Nevertheless, we were still able to see it and walk on it under the sun. This island also has a lot of character. It has a rocky shore on the other side while the mangrove area on the other side is a treat for the fish around the island. Our last stop was Maosonon Island. 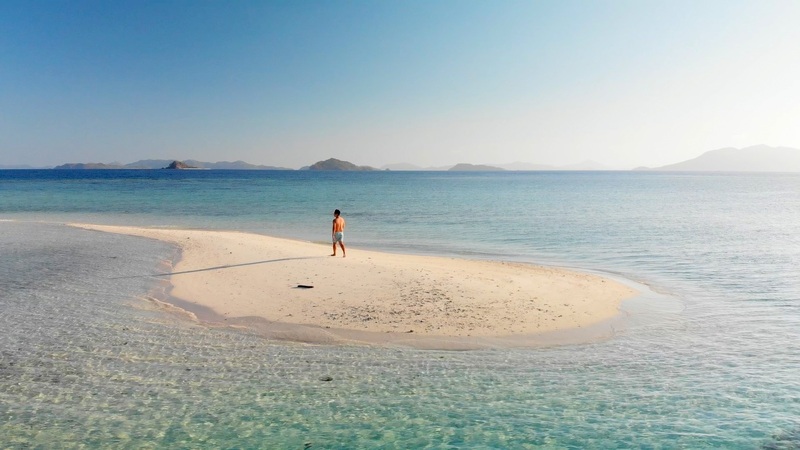 It has been the top destination in Linapacan Island Escapades. 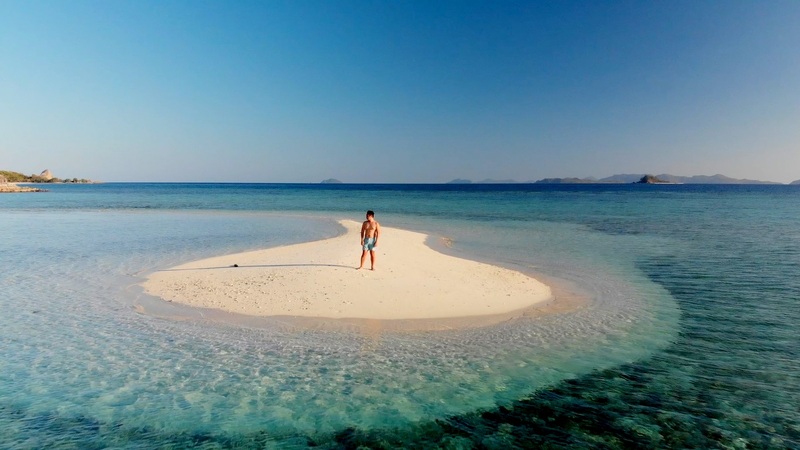 Who wouldn’t like to step on a sandbar and walk from one island to another? I felt I was Moses walking on the Red Sea! *In 2013 Daily Dig News ranked Linapacan number 1 that has the clearest water in the world. Northern Hope Tours offers Linapacan Island Escapades from Puerto Princesa City and from El Nido. You can combine Linapacan with other El Nido Tours. 9:00AM - Proceed to El Nido Beach for Island hopping of your choice. 10:00AM - Start Tour. Let's assume Tour C. Here are the destinations. 5:00PM - Arrival in El Nido Town. Rest. Wash up. 7:00PM - Dinner. Roam around the town. Buy souvenirs. 12:00NN - Arrival in Puerto Princesa. Lunch in Robinsons.